the monkey gets its own bottle! and so does the stuffed animal! Moral: Moralfags? Do you see me being whiny about those two dirty niggers in the pic? Was it two for one day? 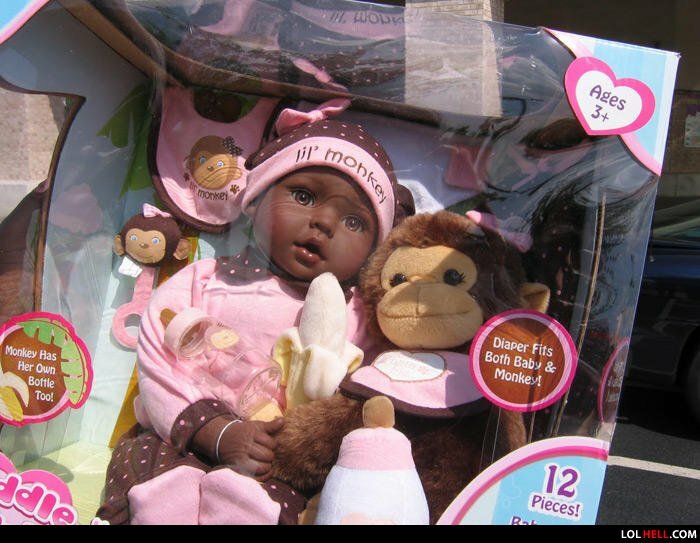 "diaper fits both baby and monkey" which ones the baby?! Epic Fact, Laughing for 15 seconds increases your lifespan by 2 days... I can't stop laughing at the highest voted coment. Moral: Which one is the monkey? Answer: BOTH! Included: Welfare, bad credit, and illiteracy.